NEEDHAM, Mass.--(BUSINESS WIRE)--PTC (NASDAQ: PTC) today announced that it has acquired Frustum Inc., an advanced generative design software company, for approximately $70 million. Frustum’s technology for generative design—an approach that leverages artificial intelligence (AI) to generate design options—is a transformative addition to the PTC Creo portfolio. Based in Boulder, Colorado, Frustum offers patented desktop and cloud-based engineering software that enables designers and engineers to go beyond the limits of their personal experience by leveraging powerful AI capabilities that guide the discovery of high-performance, next-generation product designs. Frustum complements PTC’s strategic relationship with ANSYS, which was announced at LiveWorx in June 2018, and will bring analysis upstream to the very start of the design process. With embedded Frustum and ANSYS capabilities, Creo will be able to recommend design approaches using generative design, guide the user through the iterative design process using ANSYS Discovery Live, and ultimately validate the full product design at scale using the broader ANSYS Discovery suite. 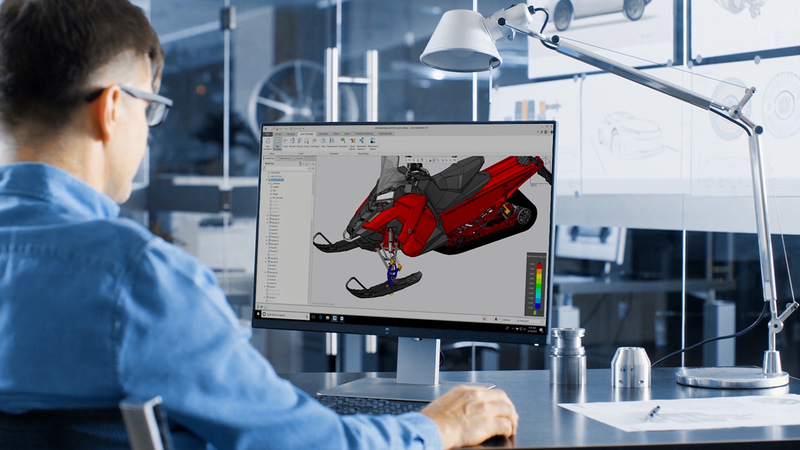 With these capabilities embedded in Creo, engineers will have unmatched capabilities to rapidly drive product innovation. With generative design, engineers can interactively specify the functional requirements and goals of their design, including preferred materials and manufacturing processes—and even indicate key design parameters that take into consideration purchasing decisions, manufacturing capacity, supply chain status, and regional-required product variances. The system then uses AI and powerful high-performance computing techniques to present design alternatives for consideration as a starting point or as a final solution. By removing the constraints of human imagination and experience, engineers will be able to interact with the technology to create superior designs and innovative products more quickly. PTC will hold an informational webcast to explain the significance of this acquisition today, Tuesday, Nov. 20, at 11 a.m. EST. In addition, PTC will feature this announcement on-stage at PTC Forum Europe, held in Stuttgart, Germany, on Nov. 28. To register for the online or virtual event, please visit: https://www.ptc.com/en/special-event/ptc-forum-europe. The transaction closed on Monday, Nov. 19, 2018. The acquisition is not expected to add material revenue for 2019 or to be dilutive to the financial guidance PTC provided on Oct. 24, 2018. This news release contains statements about future events, including business performance and the effect of the acquisition on our future financial results, the integration and development of solutions, and the expected value of the acquired technology to users. These statements are “forward-looking statements” and actual results may differ materially from those projected as a result of certain risks and uncertainties, including that the acquisition may not have the expected effect on future financial results and that the integration of the solutions may not occur when or as expected, and those risks and uncertainties described in PTC’s filings with U.S. Securities and Exchange Commission. These forward-looking statements reflect our beliefs as of the date of this release and we undertake no obligation to update or revise any forward-looking statement, whether as a result of new information, future events or otherwise. PTC, Creo, and the PTC logo are trademarks or registered trademarks of PTC Inc. in the United States and other countries. 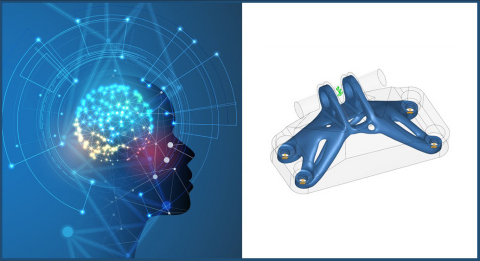 PTC adds artificial intelligence (AI) and generative design capabilities to enhance and expand its CAD portfolio with the acquisition of Frustum.